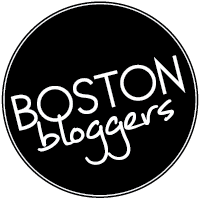 A few weeks ago, (yes, I’m still in the process of getting this blog updated weekly), I attended another great event presented by @BlogAndTweetBos (#bosmakers). The event was call ‘Meet the Makers Blogger Event’ an event co-hosted and held at Gifted, a unique gift shop’ in the South End and Olives & Grace, a store dedicated to local makers and entrepreneurs. After work, I made my way down to the South End, a place notorious for me getting lost; I know every nook and cranny when it comes to the city, but the South End is something else, every street either looks the same or looks like there hasn’t been any construction or updates in the past 10 years. (Case in point, when I went to SoWa Markets for the first time, I followed the “easy” directions online telling me to get off at the Tufts Medical Center T stop and walk half a mile and I would be there… well 45 minutes later, I was beginning to think this place didn’t exist, until I happen to have “stumbled upon” in like someone just happens to stumble upon Atlantis). However, this was a very easy walk down to the corners of Dartmouth & Tremont St. and soon enough I had walked into the little shop which reminded me very much of going into those little boutiques on the Cape or Newburyport; top to bottom with every unique and one of a kind items you wouldn’t find anywhere else to give as gifts for friends and family….or gifts for yourself-( luckily for myself, the event started right on schedule, so there was no time for me to look and pick out everything I wanted for myself). 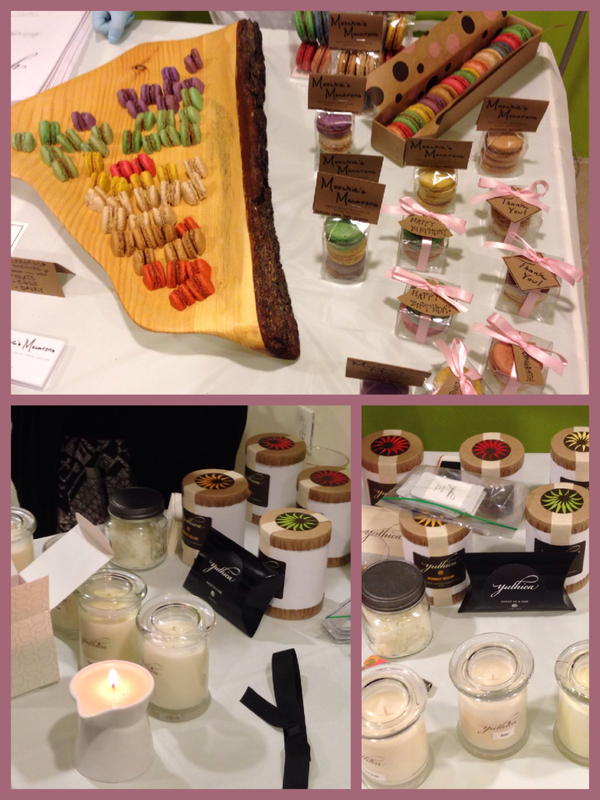 Once the event had started, we were lead downstairs and introduced to Marie, owner of Gifted and Sofi, owner of Olives & Grace who gave an introduction about their shops and a little overview of all the crafters who were in attendance for the event. 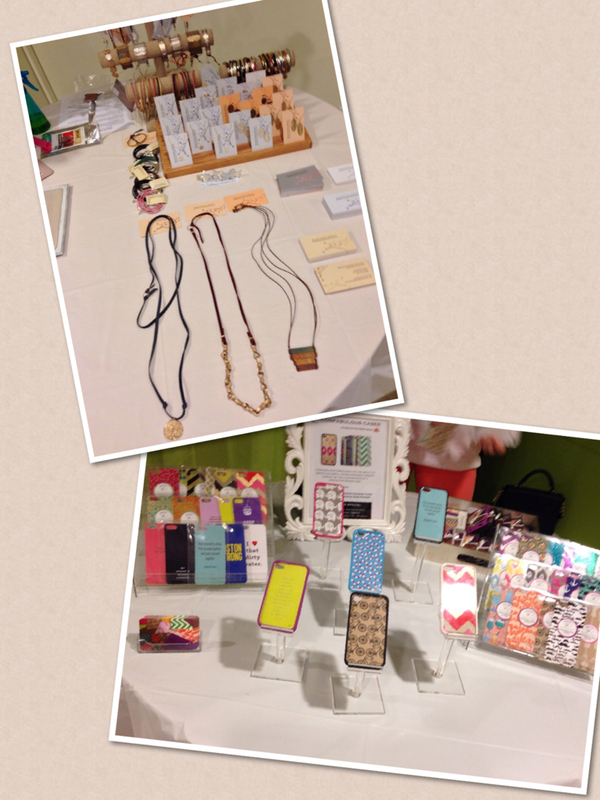 After the introductions were made, it was time for some fun and learn about all these local crafters. Round House Jewelry: Created and owned by Lisa Sachs, Round House is handmade jewelry made out of clay with added metals from copper, bronze and silver. Each piece was unique in design and feather light in weight, perfect to add a bit of class to an outfit without being weighed down. 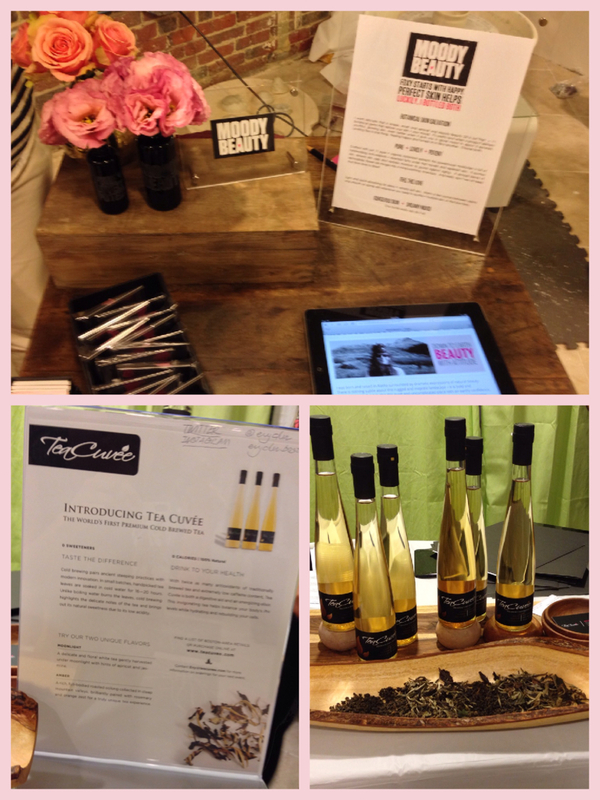 Tea Cuvée: Known as the First Premium Cold Brewed Tea, I was quite interested to see what made this tea stand out to other iced tea; that’s where I had met Evy, owner of Tea Curvée who explained to me the difference. The main difference is how the iced tea is actually made; unlike many brands in the U.S. which are made from over-processed, chemically and artificially flavorings, Tea Curvée is made only out of whole tea leaves and ‘bloom’ in cold water which leaves you with a more natural and refreshing flavor. After tasting the Moonlight & Amber flavors, I could immediately taste the difference of Evy’s iced tea compared to iced tea I would brew at home. Delicious! Moody Beauty: Amy Fleischer is the owner and maker of Moody Beauty, an oil based skincare which nurtures, hydrates and soothes the skin and face. Like myself, Amy has dry and pinkish/red hues on her face and it’s difficult to find a product that would contour both problems, either you look even redder or you face dries out even more from the harsh chemicals. Amy’s product is made from all natural and organic ingredients that help just about every face feel light and refreshing. Before the real heat of summer began just this past week, I began trying a sample of Moody Beauty which did make my face feel more refreshed. Unfortunately, when the heat came in so did the excessive sweating on my face, so I’ve stopped using it for the short term, but plan on using it again once the temps go to a tolerating degree and less sweat! 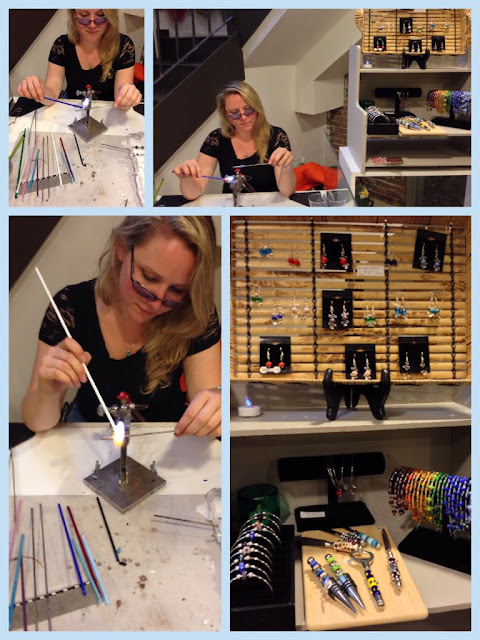 Glass Designs: Laurie Landerholm is the creator of custom lampworked beads, hand blown glass and even teaches lamp work classes in Brockton (sounds very interesting but a little intimidating!). What was great about Laurie is that she brought her work right to the Gifted Event. Right in front of my eyes, I watched in curiosity as she created a one of a kind lampwork bead (torch and all). Of course, Laurie made this look very easy, but I’m sure after a few of her lampwork classes (and maybe a few burns), I could be creating my own custom glass bracelet! Porcelain and Stone: A creator of fine, ceramic jewelry, Kimberly Huestis pieces are made right in Cambridge, each design reminding me of a day at the beach or on a boat. The unique pieces all had a nautical or beach theme, a theme that goes hand in hand for Kimberly and her environmentally friendly efforts. She even creates ceramic mugs; great to keep the morning coffee hot…unfortunately, they’re not for sale… just yet. Travessia: Ah, what’s a blogger event without a little bit of wine?! 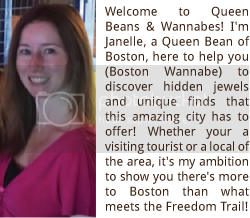 Jennifer Marcos is the Tasting Room Manager for Travessia, a micro-winery located in New Bedford (really? Yes, really.) What I had learned from Jennifer, as I sipped my way through a tasting (or 2) of their Chardonnay, Vidal Blanc and Pinot Noir, is that most of their grapes are grown right in Massachusetts and their main focus is to try and be authentic as possible when it comes to taste and the production. Local is better! Moochie’s Macarons: As I made my way around the crafters setups, I couldn’t help but notice the colorful display of little mini macaroons at one table. Nina DiBona Pauk is the creator of these fabulous French Macarons that was inspired one evening while planning a trip to France with her husband. These bite size macrons’ come in a variety of unique flavors: Pistachio, Lavender Honey, Chocolate Ganesh, Lemon Poppy Seed and many more including my own personal favorite, coconut!, (which I probably ate about a baker’s dozen of that flavor). Yuthica: The last table of the night that I visited was Yuthica, Soy Wax Candles by Chinku Mahindra. Unlike your typical Yankee Candle, Yuthica Candles are made from soy wax, which makes the candle burn longer, with less smoky residue and keeps the natural scents elegant until the last use. What’s even better about these candles is that you can “double dip”, since the candles are made of soy with added shea butter, avocado oil and other essential oils, you can not only use the candles to create a beautiful, calming atmosphere, you can even use the wax to moisturize and sooth you skin! By the end of the night, I had a bag full of goodies to try out and even a beautiful bracelet & ring set compliments of Gifted Boston! 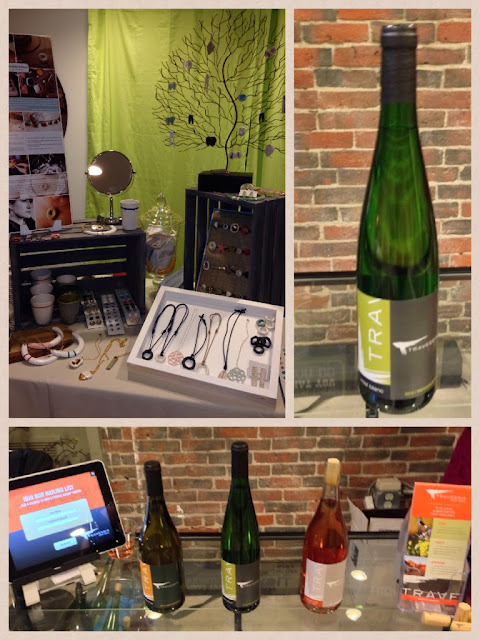 So, if you’re ever in the market for a unique gift for someone… or a little retail therapy for yourself, I would recommend any of these fine makers and their products, all which can be purchased at Gifted Boston and Olives & Grace!